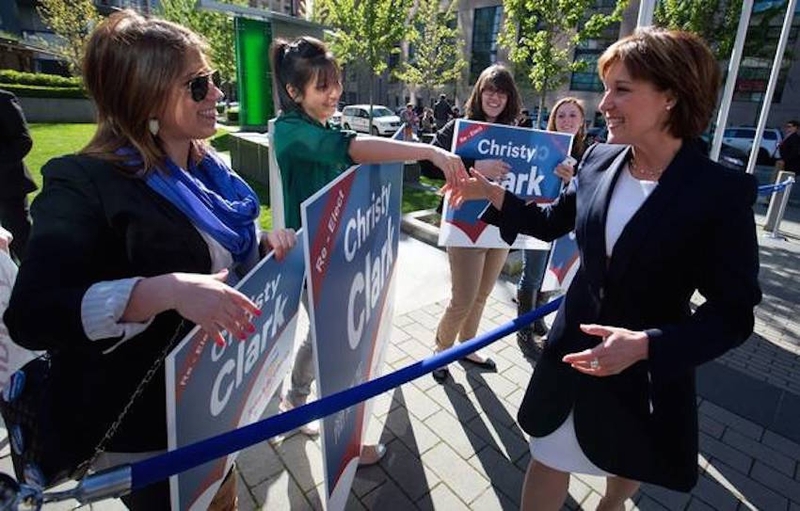 Christy Clark greeting supporters on April 29, 2013 as she arrives at the leader’s debate venue in Vancouver. Photo by Darryl Dyck/The Canadian Press. The NDP in British Columbia won't get support from the Liberals to ban corporate and union donations to the province's political parties. NDP Leader John Horgan asked Premier Christy Clark today to support a bill he plans to introduce in the legislature next month. Advanced Education Minister Andrew Wilkinson delivered the Liberals' reply, saying the party will reject the NDP bill. Horgan has been critical of Clark's fundraising, saying that just 1.5 per cent of donors to the Liberals accounted for half of the $12.3 million raised by the party last year. He says the top 185 donors gave an average of $37,000 each to the Liberals. Horgan has introduced similar bills before and they have all failed. The Liberals released 2016 figures on the donations it received last week and announced the party will begin posting the information online within 10 business days of receiving a donation. 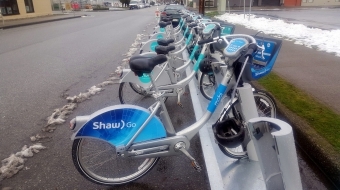 Transportation Minister Todd Stone, who is also the Liberal party's campaign co-chairman, said the move was made to be transparent and accountable. The party has been criticized for holding exclusive fundraising events with access to Clark where tickets can cost up to $20,000 each. The data released by the Liberals showed the party received $7.9 million in corporate donations and $4.4 million in individual contributions last year. The party said individual donors outnumbered corporate donors by a four-to-one margin, with 9,324 individuals and 1,876 corporations making donations in 2016. The party said 84 per cent of corporate donations last year were $5,000 or less. The largest Liberal donors were primarily from the corporate sector, with Vancouver's Aquilini Investment Group contributing $131,000, property project developer 2300 Kingsway Residences donating $200,000 and Bert's Electric (2001) Ltd. of Langley contributing $100,000. The New Democrats received $3 million in political donations in 2015, but the party has not released the amount of its 2016 donations. Horgan has said 80 per cent of donations to the party are from individuals. The filing deadline for 2016 donations is March 31 under the Election Act.